With his 28 years experience as a chiropractic physician and his additional training and certification in the specialties of sports, orthopedics, and pregnancy chiropractic care, Dr. Nierenberg provides specific and comprehensive chiropractic treatment in a professional caring environment. He always considers your individual health issues and lifestyle, and then applies the most appropriate and comprehensive care plan in order to get you back to your optimal health, without pressuring you to return for frequent visits. 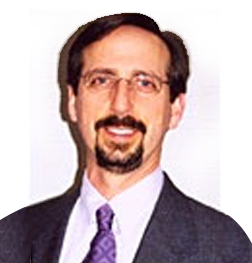 A self-proclaimed perpetual student, Dr. Nierenberg enjoys continuing education, and regularly attends seminars, webinars, and workshops on chiropractic technique, manual therapy, sports injury management, orthopedics, and exercise/rehab. 28 years practice and clinical experience. Previous adjunct faculty member at L.A. College of Chiropractic. CME=Certified Medical Examiner for D.O.T. and Non-D.O.T. Physicals. Commercial Driver's License (CDL) owners and drivers of oversized work vehicles must have their biennial physicals performed only by nationally registered C.M.E. Practitioners. Dr. Nierenberg is nationally registered. Additionally, Dr. Nierenberg is certified to perform BasicMed Physical Exams on recreational pilots for the Federal Aviation Administration (FAA). B.A. in Geology and Geography, University of California Santa Barbara. B.S. in Human Biology, Southern California University of Health Sciences/LACC. Dr. Nierenberg is a 20+ year resident of Branchburg, married with two children. He enjoys outdoor activities, road and trail biking, hiking, roadside geology, regular exercise, yoga, and pilates. He also enjoys teaching, gardening, playing percussion, and is an avid NJ Devils hockey fan. When not engaging in one of these activities, he often attends health-related seminars, educational webinars, and enjoys reading scientific journals pertaining to his field of work.